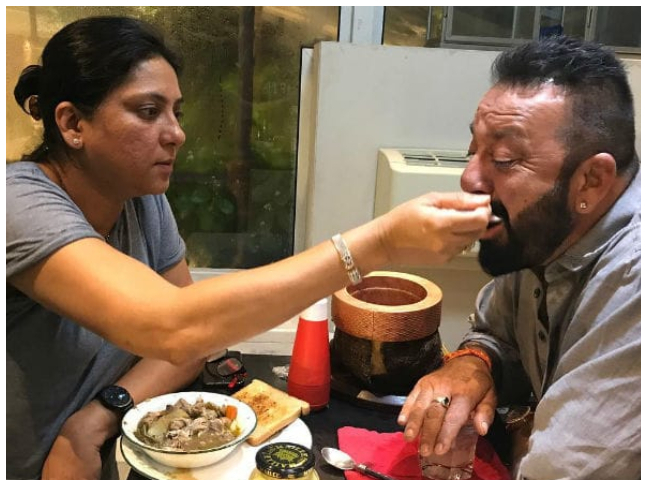 It was being speculated that Sanjay Dutt was all set to venture into politics and contest the upcoming 2019 General Elections from Ghaziabad, Uttar Pradesh. However, the actor dismissed such rumours today. Taking to Twitter, he clarified that he does not intend to contest the elections. Sanjay had contest elections in 2009 on a ticket from the Samajwadi Party, but soon quit in 2010. At that time, he had told a leading daily, “I don't know why I entered politics...what happened. I did a mistake. I don't think any actor fits there completely.” Today, he once again refuted rumours of his taking the plunge yet again. Check out his tweet below. Sanjay’s father late veteran actor Sunil Dutt was a noted politician and was also the Minister of Youth Affairs and Sports in the first Manmohan Singh government. Post his demise, his younger daughter Priya Dutt joined the Indian National Congress and has been contesting elections from his seat. This time around too she has joined the fray and Sanjay through his tweet lent his support to his sister in her election campaign. Sanjay has been enjoying a kind of second innings in Bollywood and has a number of lucrative projects in his kitty. He will be next seen in Karan Johar’s production Kalank and Ashutosh Gowariker’s Panipat as well as team up with Ranbir Kapoor in Shamshera. He is also producing Prasthaanam under his production banner.